I hung this flier in my dorm building so that more students can see it when the enter/leave. I chose this photo because it was taken during a celebratory occasion. However beneath the surface, much more was going on. 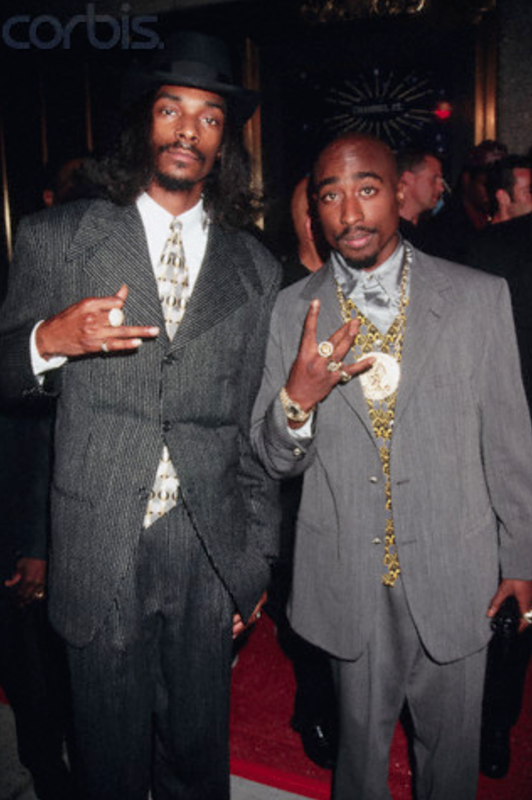 The image above is a screenshot of rappers Tupac Shakur and Snoop Dogg attending the MTV Video Music Awards in 1996 at the Radio City Music Hall. I found the image through searching “Tupac Shakur” on the website Corbis, a digital image company. The search brought up various photos of Tupac, but I felt this photo had the most context. The link of the photo is, http://www.corbisimages.com/Search#q=Tupac+Shakur. It was taken by Mitchell Gerber on September 1, 1996 to document those who attended the MTV Video Music Awards. It was also used to attract audiences into watching the ceremony because such big celebrities were in attendance. The image appears to reflect its original condition because of the way it has been digitally preserved. It is fairly clear and easy to detect those in the image as well as the setting. The image at its maximum size is 25 MB. The photo was originally captured in the mid 1990s. This was a time of civil unrest for Americans in which there were battles between gangs in LA as well as between the Westside and Eastside of the U.S.. Tupac Shakur was an immensely iconic figure of the time because he was seen as one of the main representatives of the West Coast. As seen in the photo, he is flashing the west side sign, declaring his association with California. To his left, Snoop Dogg is flashing another gang sign at the camera. They both reflected their lifestyle in this situation and brought the aura of the urban streets to the public. Before this, it was much more controversial to be seen affiliated with gang signs. The two rappers broke the mold in openly declaring their affiliations in such a public setting and being unapologetic for it. Snoop Dogg, also a very critical leader of rap music, and Tupac were viewed as a powerful team. This is probably one the the most important images of them because it shows that no matter the occasion, they stayed true to their west coast roots. The two are also dressed up in suits. Looking closely, you can see the jewelry they are wearing on their fingers. This, though a minor detail, is important because they were known for being extremely wealthy. They used their wealth to promote their west coast lifestyle and attract the support and attention of the public. They were an embodiment of the American Dream because they showed that they could reach the top of society despite the racial tensions of the 1980s and 1990s. They were also trailblazers in changing the fabric of society. 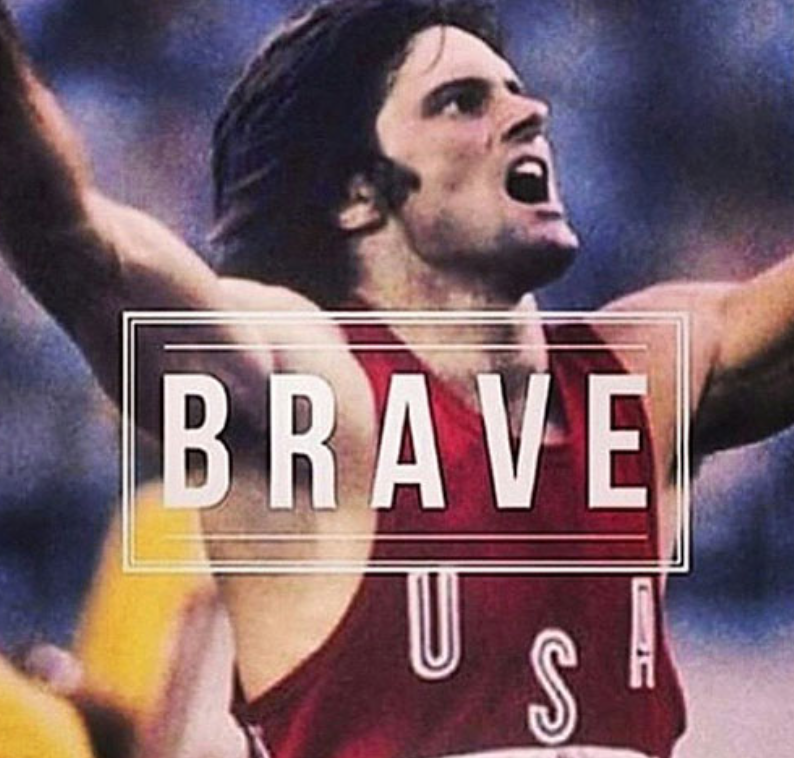 They made it okay to be from a less wealthy background and proved that with enough focus and dedication, one could work their way to the top. All eyes were on them because of the impact they had on rap music. They were leaders in the genre and without them, the face of rap would be incredibly different. This is still incredibly relevant to today because now more than ever, we see rappers go to award ceremonies decked out in jewelry. They too flash signs at the camera to show their affiliations and this originates back to the photo of Snoop Dogg and Tupac taken almost 20 years ago. They broke the wave of society by being more rough around the edges and harsher in their music. The two west coast rappers were proof that America was ready and accepting of change in terms of music, fashion, and mentality. Their influence remains pertinent because it transcends that moment in time from the 1990s to remain current and iconic to this day. 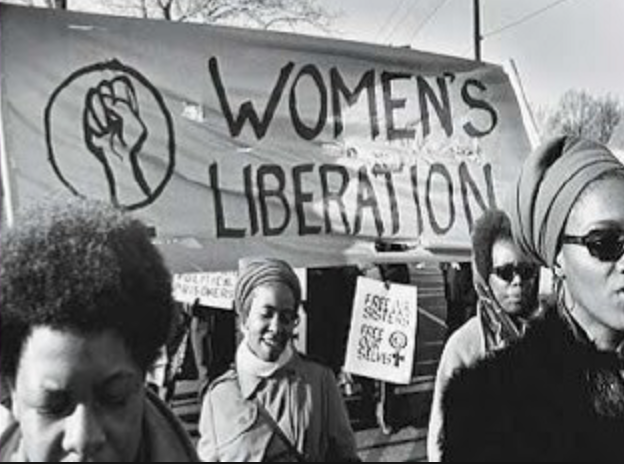 Today in our small section, we talked heavily about the Women’s Movement and the effect it has left on society today. I was able to connect a lot of the points we talked about in class because I took a Women’s Studies class last semester. The class and the discussion today has helped expose me to a lot of the injustices of the past and some that still persist. I think it is important to talk about such issues so that we can continue to progress and move forward. Today in class Dr. Putman mentioned the counterculture of the hippies and described their lifestyle. He mentioned how San Francisco was the epicenter of the counterculture because it was known to be a more openminded city. 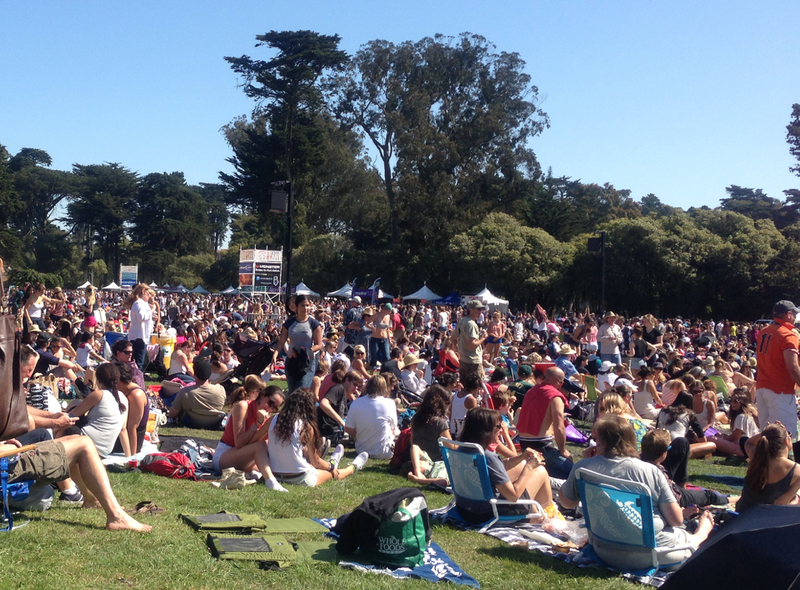 We saw a clip in class about a big outdoor concert that took place in Golden Gate Park in San Francisco. I was able to connect that to a concert I had also been to in Golden Gate Park where that same hippie spirit was still alive. There were people with flowers in their hair dancing around, and just a large amount of people overall who all gathered together to listen to music and experience good vibes. In the beginning of large lecture on Monday, Dr. Putman played a song about the atomic bomb. It was in the time period of WW2 and so the song was essentially reflecting the chaos of the time. 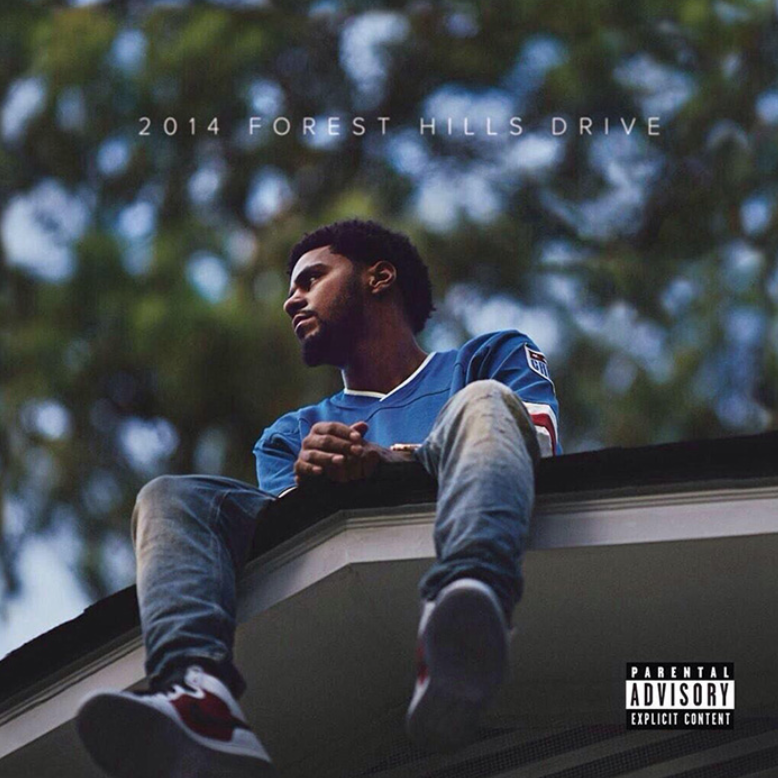 Similarly, when I was listening to my iTunes I noticed J. Cole did the same thing in his rap “January 28th”. He raps, “What’s the price for a black man life? I check the toe tag, not one zero in sight”. I interpreted the lyrics as touching on all the recent police brutality and aggression towards young black men. Interesting how we can look to music to reflect current and past times. Last week I went to a concert at the North Park Observatory here in San Diego. It didn’t occur to me then but looking back now, I can make a connection between that concert and Prof. Blum’s lecture on light. Times have changed immensely from using light for basic needs like illuminating the dark and have advanced to now where it can be used for entertainment as well. At the concert I went to, the auditorium was dark but it was illuminated by various colored lights. Of course this added to the mood and overall feel of the concert but the main purpose was to showcase the performer while entertaining the crowd through the use of color. Its interesting to think that we now can use light for just about anything and it can affect our overall mood, the ambience of a particular place, and allow us to do much more despite the time it may be. As I walking out of class the other day, I noticed these tiles on the ground outside the library. 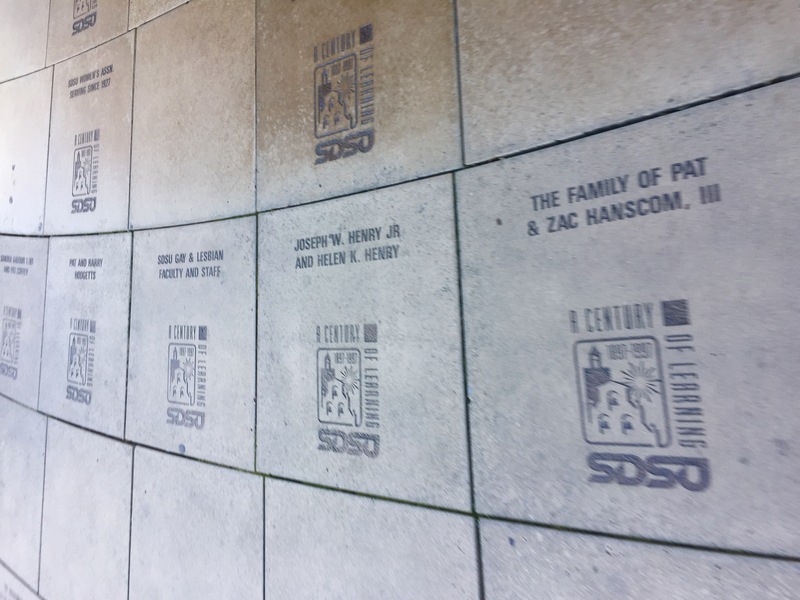 Some were in memory of loved ones and some were of graduates and people who contributed to SDSU. It hit me then that even through the architecture of my own school I am being haunted by the past, just as Prof. Blum lectured on. Though I do not know any of these people, myself as well as thousands of other students and faculty, walk over their names not realizing that they are essentially stepping onto pieces of history everyday.